GARNER, N.C., Aug. 18, 2015 -- Butterball today announced a sponsorship of the Triangle American Heart Association's My Heart. My Life. initiative. This sponsorship aligns the American Heart Association's mission with Butterball's corporate citizenship program, Traditions with Purpose, which reinforces the importance of nutritious eating and overall well-being, and places Butterball team members at the heart of the business. Butterball's support of the My Heart. My Life. initiative is a further extension of its current relationship with the American Heart Association. For the past several years, nearly two dozen of Butterball's turkey products have carried the American Heart Association's Heart Check seal. 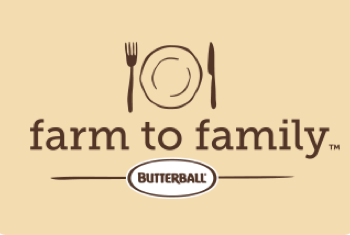 Through Traditions with Purpose, Butterball makes every effort to create a positive influence in key areas of its business – to engage and enhance the lives of team members, deliver the highest quality food to consumers' plates, provide a safe, clean environment for future generations and invest in the communities that team members call home. With the My Heart. My Life. sponsorship, Butterball will encourage its team members to participate in healthy activities and give back to the local community, ultimately supporting the American Heart Association in achieving an impact goal of improving the cardiovascular health of all Americans by 20 percent. "At Butterball, our team members' well-being is of utmost importance," said Kerry Doughty, president and CEO. "We are committed to empowering our team members to proactively manage their health, and also support the communities where we live and work. Through our Traditions with Purpose platform and this American Heart Association sponsorship, our team members will have opportunities throughout the year to engage in activities to improve both their personal health and that of our communities." Activities through the My Heart. My Life. initiative provide Butterball team members with multiple opportunities to volunteer and engage in the cause, including the upcoming Triangle Heart Walk. All funds raised through Heart Walk will support the American Heart Association's mission to build healthier lives, free of cardiovascular diseases and stroke, the leading causes of death and disability in the U.S.
"Butterball's support of the My Heart. My Life. initiative will allow us to make an even deeper impact in the communities throughout the Triangle area of North Carolina," said Debra Lowder, American Heart Association Senior Director, Corporate Development. "Butterball's commitment to giving back through Traditions with Purpose is evident in the sponsorship of the American Heart Association's work to reduce the risk of cardiovascular diseases and stroke. We look forward to working together in the year ahead." For more information on Butterball's corporate citizenship platform, please visit butterballcorp.com. 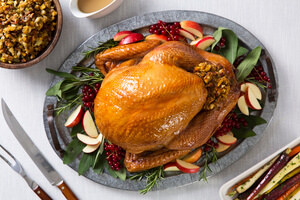 Headquartered in Garner, N.C., Butterball is the largest producer of turkey products in the U.S. – producing more than 1 billion pounds of turkey each year. 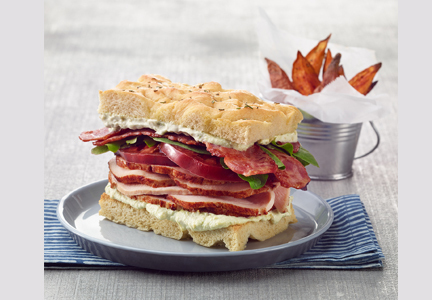 For 60 years, the company has provided foodservice and retail products to customers and consumers around the world. As an industry leader in quality and food safety, the company employs numerous processes to ensure the health of flocks and implements recognized prevention measures to exceed food safety standards. Butterball products are currently distributed throughout the U.S. and in more than 45 countries. Butterball operates six processing plants located in North Carolina, Arkansas, Missouri and Illinois. 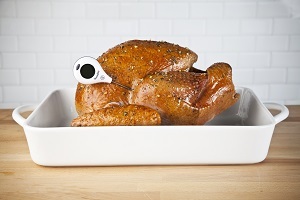 For consumer questions or information, please visit Butterball.com or call 1-800-BUTTERBALL (1-800-288-8372). Visit ButterballCorp.com for corporate information about the company. The American Heart Association is the largest and oldest voluntary organization fighting heart disease and stroke in the U.S. Made up of eight affiliates and 900 divisions across the country, the American Heart Association is devoted to saving people from heart disease and stroke – the two leading causes of death in the world. The American Heart Association teams up with more than 22.5 million volunteers and supporters to fund innovative research, fight for stronger public health policies, and provide lifesaving tools and information to prevent and treat these diseases. For more information, visit heart.org or call 1-800-AHA-USA1.